The Women & Babies research program at Sunnybrook Research Institute (SRI) covers the broad spectrum of research related to pregnancy, infancy and female reproductive health. Strong clinical programs in Women & Babies provide us with an ideal environment to do our research. These RCTs answer important pragmatic questions about the care of women and infants. Many of our RCTs are funded by the Canadian Institutes of Health Research. 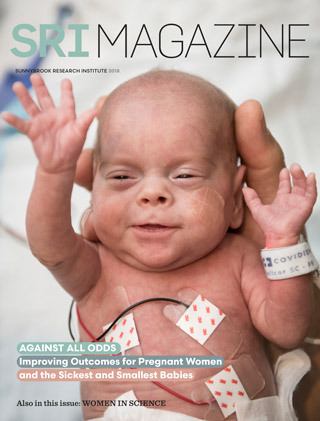 Our involvement with the University of Toronto's Centre for Mother, Infant, and Child Research (CMICR) and the Canadian and Vermont Oxford Neonatal Networks are examples of partnerships that have strengthened our research. Our experience with large RCTs and our collaborative research relationships offer an exciting opportunity to train future clinical trialists and researchers in Women & Babies.